I have noticed, in my north to south daily migration patterns, an ever so slight trend among open-minded gardeners in the Saratoga county region to be more ecology minded in regards to their weeds. 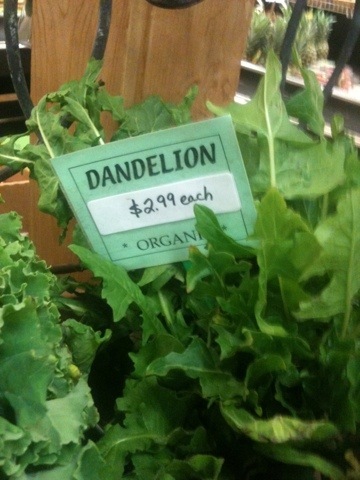 This photo, of Dandelion greens being sold for salad produce, was taken at the White River Junction, VT food co-op. 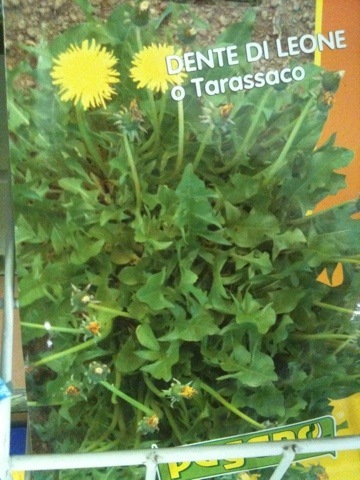 Ecological lawn care means being more tolerant of “weeds” like dandelions. Dandelions have many redeeming values, including being great cancer prevention for people when eaten, and offering nectar to butterflies. 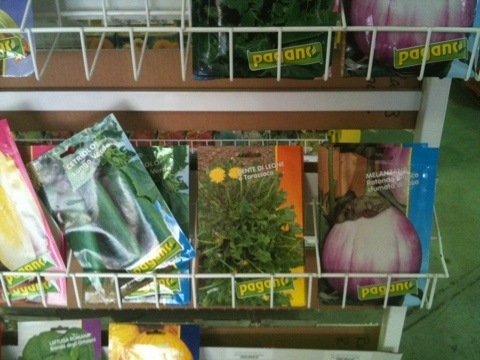 I was pleased to see these Dandelion seeds for sale at my locally owned garden center of choice in Saratoga. The fact that someone wanted to plant Dandelions? Symbolizes for me a paradigm shift in the right direction.